Dr. Mark Jawitz was born and raised in South Africa. He attended the University of Pretoria (Onderstepoort) veterinary school and graduated in 1984. In 1986 he was admitted to the membership of the Royal college of veterinary surgeons in London, England. He came to Stoneham Animal Hospital as an associate veterinarian in 1987 and purchased the hospital in 1992. 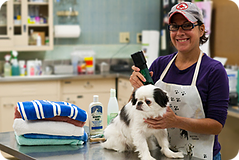 He maintains veterinary licenses in Massachusetts and Florida. 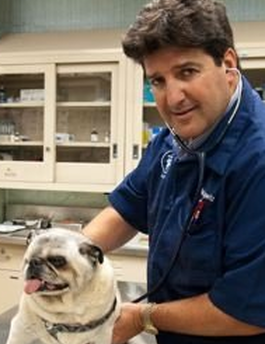 He is a caring, compassionate veterinarian who takes the best possible care of his patients. All clients are treated with respect and Dr. Jawitz tries to make a visit to the veterinarian fun for the pet and the whole family. Dr. Jawitz has a Shih-tzu named Penelope. Trish has been with us since 1989. She graduated from Essex Aggie in 1990 and has been involved with animals ever since. Her love for animals has only increased in the years and our clients love the extra care she gives them and their fur babies. She has 2 Coonhounds, Ellie Mae and Jethro, a German Shepard named Timber, a cattle dog named Heidi, as well as 2 cats Wednesday, and Olive. 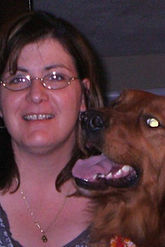 Ginnie has been with our team since 1997. She started out working at the front desk doing reception and has since been promoted to our office manager. You can still catch her at the front desk from time to time. She has 7 Japanese chins Niko, Tony, Missy, Charlie, Sally, Geddy Lee, and Lucy. Also, one very mixed breed named Penny. 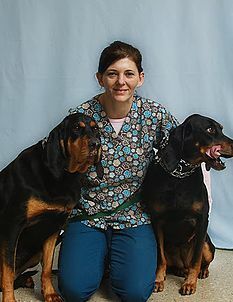 Jeannie has worked at the Stoneham Animal Hospital since 1984. She graduated from Essex Aggie in 1985. She has a lab mix named Paisley. Tiffany started working for us in April of 2012. She has a great love of all animals and it comes out in her superb customer service skills. She always goes above and beyond for the clients. She has her own little kitty named Fiona and a Shih-Tzu named Lola. Jennifer has been with us for over 20 years. She has 3 dogs Tango, Chico, and Ruby as well as 3 cats Penni, Cheerio, and Peppermint. Jen has her own pet sitting service too! Sue has been with us since August of 2013. She brings positive energy to our team and loves all animals. 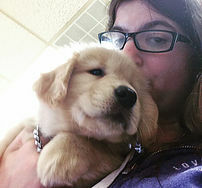 She has a dog of her own - a Golden Retriever named Rocky and 2 cats named Tinkerbell and Ben. 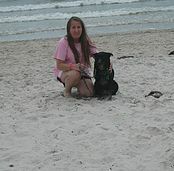 Pam has been with us since June of 2011. 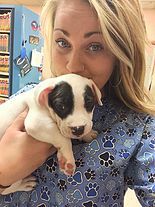 She started with us as a receptionist, was promoted to Animal Care and has a love for all animals. She has a dog of her own - a Puggle named Cody and a cat named Stella.